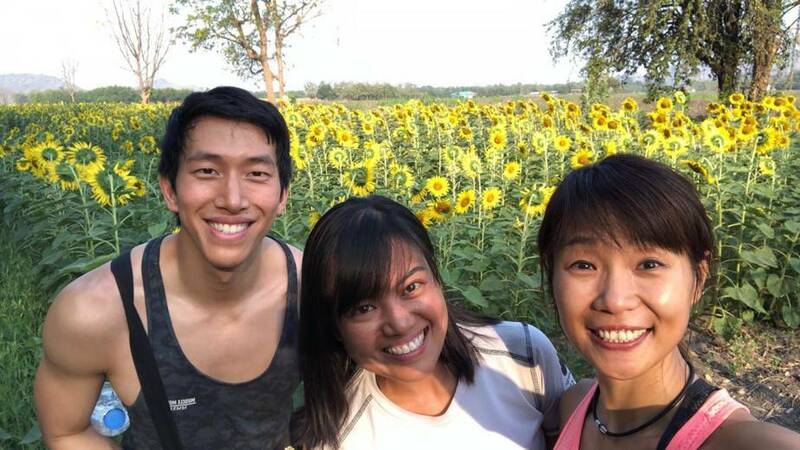 This year, we brought our participants to one of our favourite climbing crag in Lopburi, Thailand for a 2 days rock climbing and sunflower tour. We were definitely blessed with great weather and clear views! 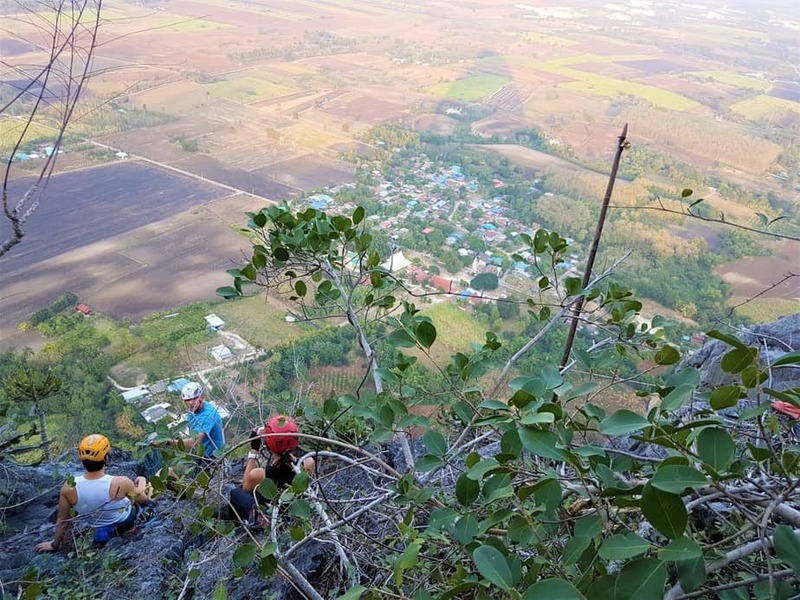 Our participants also got to experience some multi-pitch climbing and we were rewarded with spectacular views from the top of this 600 foot limestone peak. Here’s some highlights from our trip. 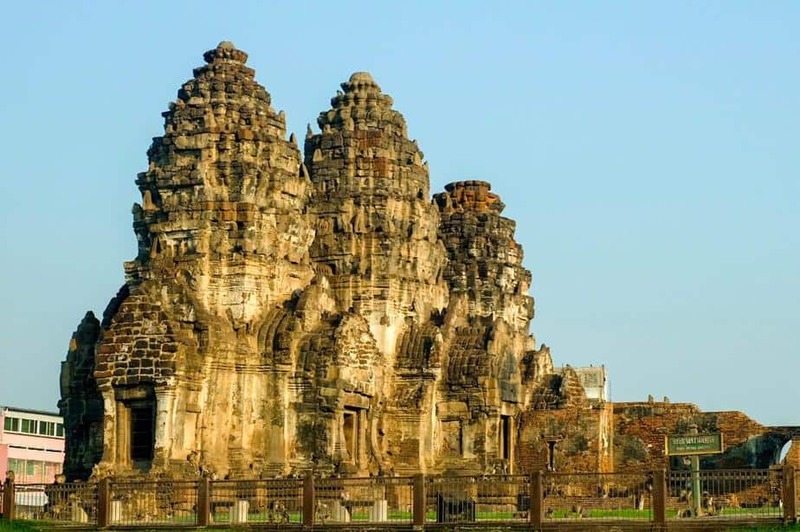 Visiting the historic town of Lopburi… Ancient ruins, temples, monkeys roaming the streets, instagrammable cafes and night markets in close proximity, just gives so much flavour to this little quaint town! Our body definitely needs some rewarding too. 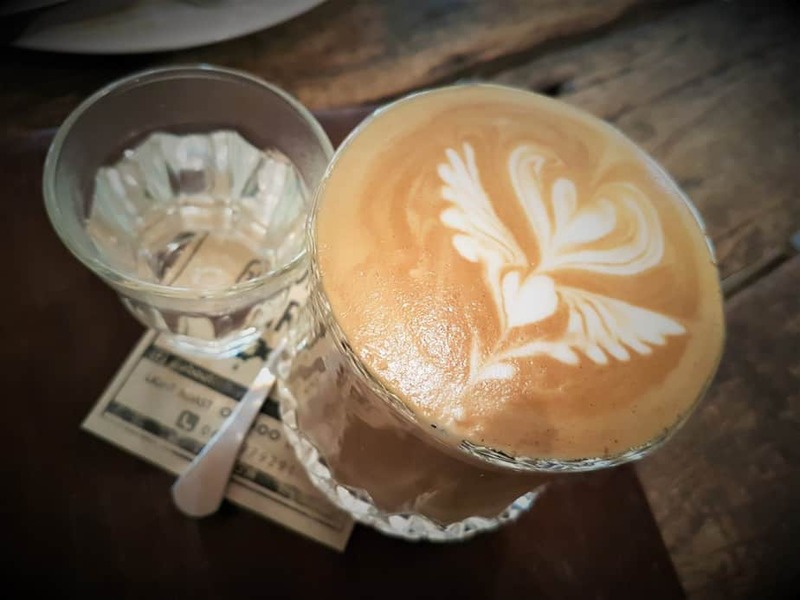 Award-winning coffee and authentic Thai cuisine from the cafe! Looking for a different kind of weekend getaway? 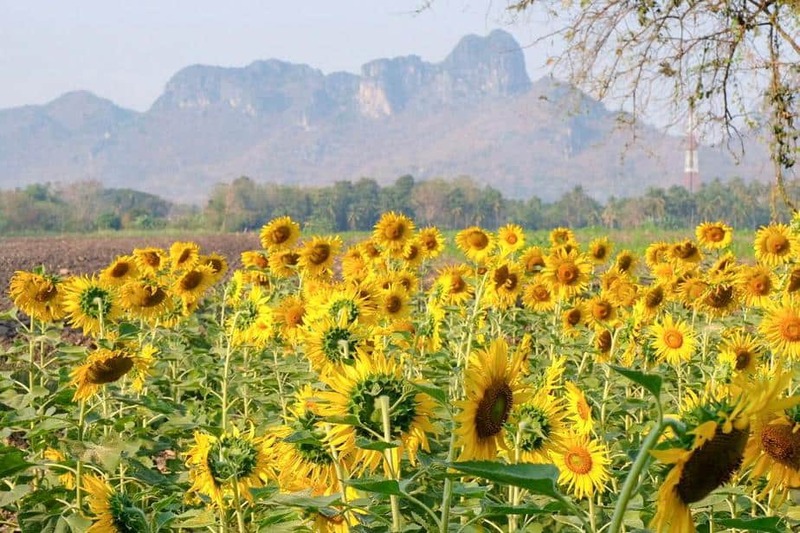 Explore this beautiful town of Lopburi which is a few hours away from Bangkok, visit one of the biggest sunflower fields in Thailand, and see what adventures this part of Thailand has to offer! 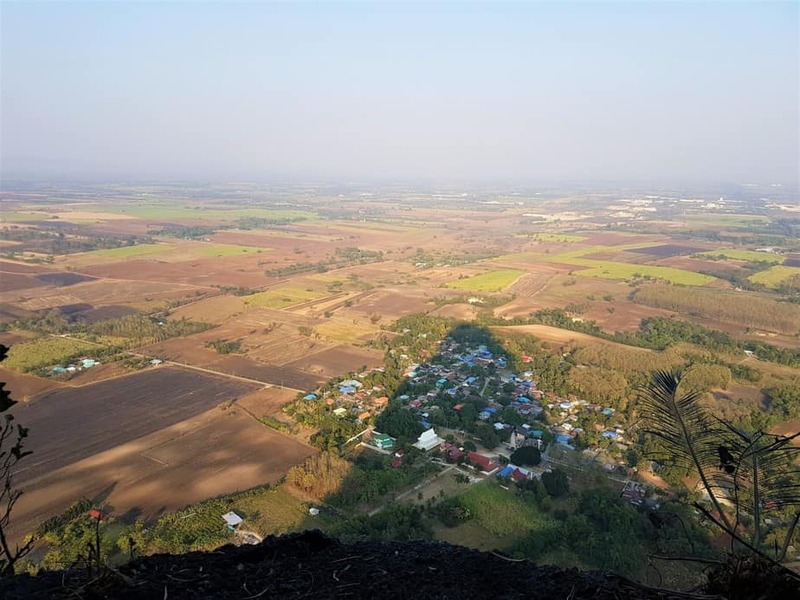 It’s definitely worth a visit to get away from the bustle of city life! 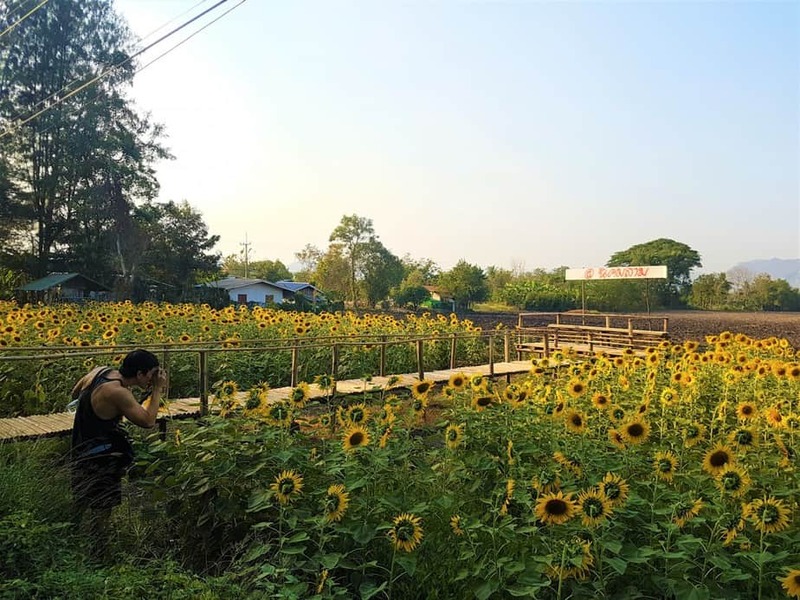 We customise our trips based on the comfort level of our participants, making it beginner-friendly. 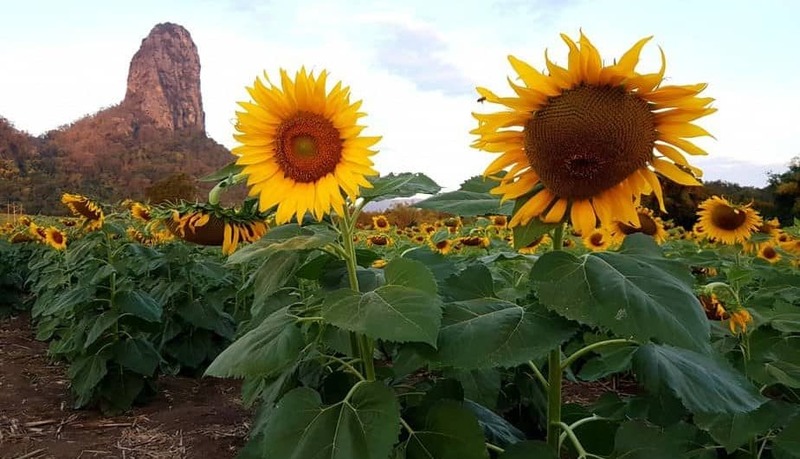 Join us for this unforgettable trip coming up in May 2019! In this blog, we have a look at some of the different harnesses available, and give you some pointers to help you choose the right harness for you. People come in all shapes and sizes and for this very reason, so do harnesses. Some harnesses may not fit certain people correctly but will be perfect on others, so it really is vital to try a number on before you select the one for you. Remember, a badly fitting harness can, in the extreme, be dangerous. 1. What type of climbing do you intend to do with your harness? 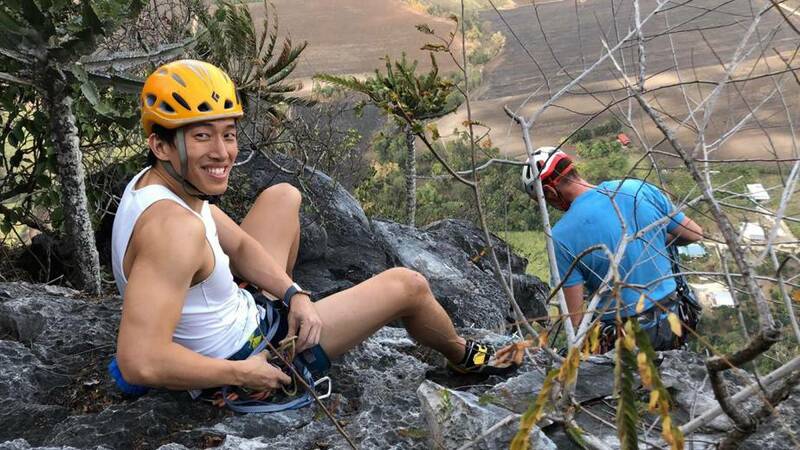 When properly looked after, a climbing harness should last you some time, so it’s really worth considering your future aspirations for the sport. Do you only ever want to climb indoors? Do you intend to climb it all – sport, trad, winter? Having a good think about this will help you get a harness that ticks all your boxes. Bear in mind that the more disciplines you want it to cover, the more compromises you may need to make, often in comfort and weight. 2. How much do you want to spend? Harnesses range from around $45.00 to over 200.00 for professional use. Your budget will of course narrow or widen your options, but even with the cheaper harnesses there is still a fair bit of choice. The waist belt should sit just above your hips. Once you have tightened your harness, you should be able to get a flat hand in behind the waist belt but you should not be able to pull a fist out. Your leg loops should feel secure but comfortable, a good indication of proper fit is being able to slip a flat hand in between the leg loop and your leg comfortably. Your harness should feel comfortable to stand and sit in. When sitting down, make sure the buckles aren’t digging in. There has recently been a real push to move from the traditionally padded harnesses to contoured laminate harnesses, which remove bulk and weight and in some cases retain a high level of comfort. Try both types and let the way it feels dictate what you buy. Fully adjustable – meaning you can adjust both the waist belt and leg loops. Fixed leg loop – meaning you can only adjust the waist belt and not the leg loops. Alpine harness – available in fully adjustable and fixed leg loop, super lightweight with a the belay loop often only attached to the waist belt. The amount of adjustment in the fit of your harness will depend a lot on the type of climbing you intend to do. If you intend to do a lot of outdoor trad and winter climbing then a fully adjustable harness is essential in order to get it on and off over bulky clothes, crampons and boots. If you intend to climb indoors and maybe outdoors in fair weather, then a fixed leg loop harness may work for you. Another consideration is your size when you first buy your harness. Many people enter the sport in order to get fit and often lose a fair bit of weight after their first few months, so if you think this will be case for you, then a fully adjustable harness would be the way to go. You ideally want the harness to be in the middle of its adjustment range when wearing it, so that you have room to manoeuvre. Until a few years ago the standard buckle on a climbing harness was known as a “double back” buckle which meant that in order for it to be safe the webbing would need to be threaded back through the buckle. 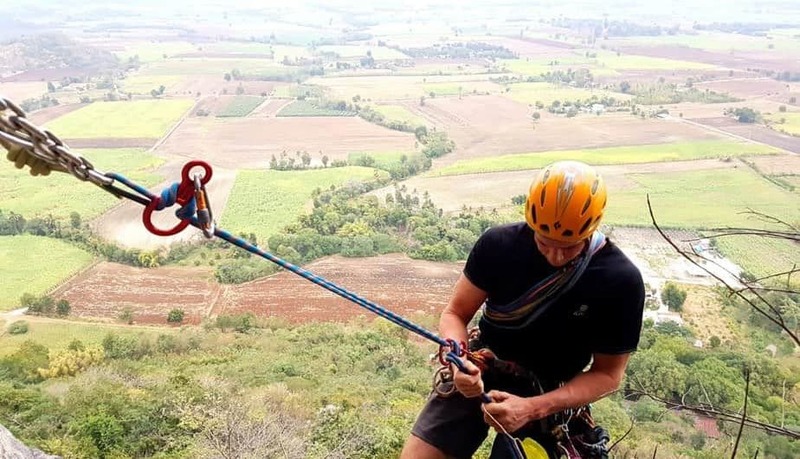 Currently most harnesses are now fitted with a “speed adjust” buckle, this has the benefit that the climber does not need to remember to double back their buckles. It’s important to realise that there are pros and cons to each system. Double back buckles have the benefit that once done up – that’s it. They will not move at all. But they have the drawback of being considerably more awkward to do up, especially with gloves on. Speed adjust buckles have the great benefit of simply pulling them tight, easy with gloves on, but the slight drawback is that they can suffer from “creep” and will need to be tightened and checked over the course of a long day. The obvious fitting requirements of your waist size and upper thigh will dictate the general size of the harness (eg. small, medium, large). Harnesses also use another measurement, known as the “rise” and this is a very important measurement to consider. The rise is the distance between the waist belt and the leg loops. When this distance is too short, the climber will be pushed forwards when the harness is loaded, and when the distance is too long, the climber will fall backwards when the harness is loaded. Women’s specific harnesses typically have a longer rise and men’s a shorter one. A correctly fitted harness will, when loaded, mean that around 75% of weight is taken on the leg loops and 25% on the waist belt. Some harnesses are available with an adjustable rise, which can be helpful if you’re having trouble finding a good fit. The only true way to test whether the rise is correct for you, is to see how it works when fully loaded. The only way to do this is to hang in the harness. The number of gear loops you will want on your harness will again come down to what type of climbing you expect to do. If you intend to only climb indoors, then you’ll only really need one or two gear loops. Sport climbers usually need three to four loops, whilst trad and winter climbers will want five and above. However if you try on a harness and it fits perfectly, but has more gear loops than you need, it really doesn’t matter, a correct fit is far more important. A few other details you may want to take into account. If you intend to go winter climbing or ice climbing, make sure the harness padding is constructed from closed cell foam, so that it can’t become water logged. If you want to take it climbing in the Alps, then weight will need to be a big consideration and often comes at the expense of comfort. There are lots of other clever features on harnesses and once you’ve gone through the essentials, the rest will be down to personal preference and taste. Children below 30-40kg (usually under the age of nine) will need to be fitted with a full body harness. This is because they often have small hips and a high centre of gravity and run the risk of falling out of a sit harness if inverted (upside down). Also children of this age tend to have insufficient stomach muscles to maintain an upright position and stand much more chance of turning upside down when they fall. A general rule of thumb, if trying a sit harness on a child, is to try and pull it down over their hips and if this is in any way possible then a full body harness will be needed. Looking after all of your climbing kit is absolutely essential. Your climbing harness is your direct and only link from you to your safety chain (rope, anchors, belayer) and needs special attention. Always keep your harness away from harmful chemicals and direct sunlight (where possible), storing it in a dry dark place when not in use. 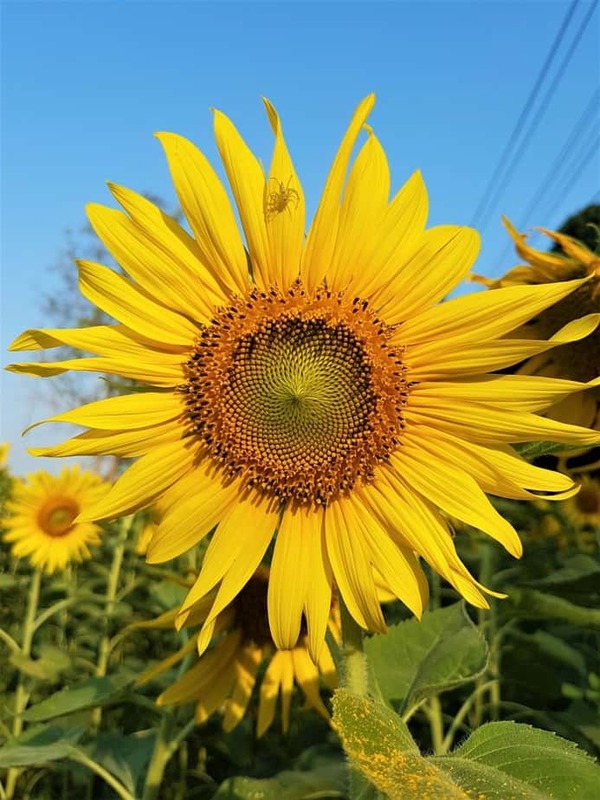 If it gets dirty or has been exposed to salt water, then cleaning it with lukewarm water is usually all it takes, then dry in a warm (not hot) room away from sunlight. There are specially made cleaning products for soft climbing kit, made by companies such as Beal. You can also use pure soap flakes to clean your harness, but if in any doubt then only use approved cleaning products. When you remove your harness always slacken off your leg loops, so that they don’t warp or get worn in exactly the same place. When properly looked after your harness should last you a fairly long time, depending, of course how often you climb and where you climb. So, to sum up, it’s clear that fitting a harness should be as detailed as fitting a pair of climbing shoes. Unless you are replacing an old harness with the exact same model and size, you really can’t know that it’s the right one for you until you’ve sat in it under load. This is why it’s usually best to have your harness fitted by an experienced person. When instructing beginners, I always spend a bit of time on the different Carabiner and types. There are so many types and options, and of course, climber slang to Carabiners. Whether you call it a “Krab” or “Biner”, there are lot’s of variety and options to choose from. More than just choosing a nice colour! 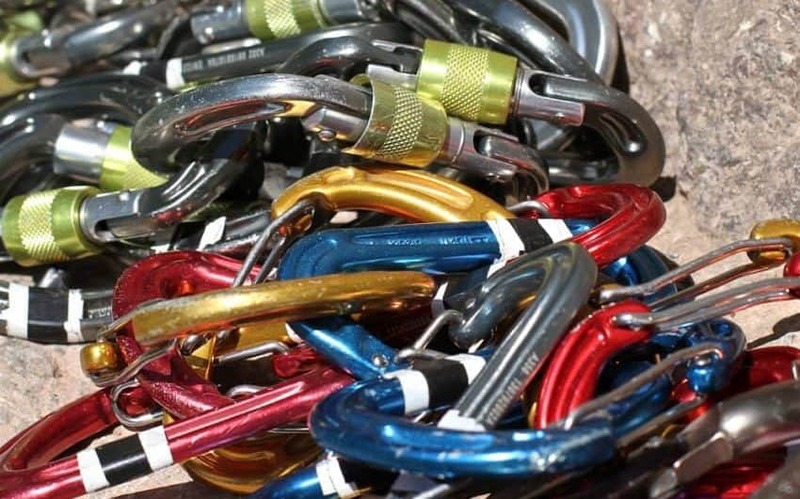 Carabiners are one of the most common and used pieces of kit in a climbers’ rack. They are used to belay with, set up anchors, create ‘running belays’ and a whole host of other tasks. There are so many different choices available to you, when you come to buy your first few biners, it can be difficult to know where to start. Even though at first glance climbing equipment looks like it comes in a million different varieties, shapes and sizes its usually not nearly as different as it looks and once you understand the basic properties of certain types of kit, it all becomes much clearer. Carabiners are a perfect example of looking far more complicated than they actually are. 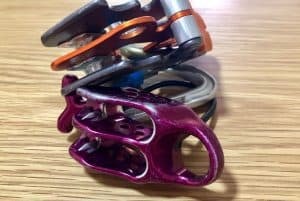 Below we have outlined some of the most important characteristics and differences between the various Carabiners available. Whilst we have covered some of the bigger and most important differences there are still subtle details that make one crab better than another for certain jobs, and to understand everything about a particular biner the best place to look is the manufacturers website where you will get all of the specs (and a fair bit of flowery sales schpeal!). A locking carabiner will have some form of metal sleeve or mechanism that enables the user to lock the gate shut. These carabiners are used in situations where there is a risk of the gate being opened accidentally, typically while belaying or building anchors. A non-locking carabiner (often referred to as a snap-gate) simply relies on the spring of its gate to keep it shut. These carabiners are most commonly used as part of a quickdraw, for running belays, to rack protection and any time where there is no risk of the gate being opened accidentally. Threaded metal sleeve covers the gate, which is manually screwed and unscrewed to open and close the carabiner. These are the most common locking carabiners and come in just about every shape and size. Normally a spring loaded metal sleeve covers the gate, which is manually rotated to open, but will spring closed and lock automatically when released. Recently Black Diamond launched its Magnetron range which uses small magnets built into the gate to automatically lock the carabiner when closed. Auto lockers are nearly always heavier than screw gates and a lot less widely used, but they are great for beginners’ groups, children, and also big wall climbing as you have that little extra security. These are a fairly new breed of carabiner that have a mechanism to prevent cross loading. Some also will not close unless the screw gate is done up, like DMM’s Belay Master, and AustriAlpin’s OvaLock. DMM have just released their new Rhino carabiner which is specifically designed to be used with assisted belay devices such as the GriGri 2 and Trango Cynch. Instead of the normal mechanism to prevent cross loading the Rhino has a small horn which prevents the assisted device from sliding around the biner onto the back bar. A pear shaped carabiner which is especially good for using with a belay device, and Munter (Italian) hitches.They tend to have a very wide gate opening and are usually very strong. HMS stands for Halbmastwurf Sicherung, which roughly translates to munter hitch securing, because it was first designed to be used with the munter hitch . Traditionally the strongest shape for a carabiner. Great for general rigging of belays, use with Prussiks etc. The offset D-Shape forces the rope to load the back (strongest) bar of the biner, making it very strong, and safe to use with ropes. Also has a big gate opening. Another good rigging biner. Available as a locking and non-locking biner. Not quite as strong as a D-Shape or HMS, although these days most are rated to 25kn (gate closed), so the screw gate versions are strong enough for a multi purpose biner. They are especially good for use with pulleys, as they allow the pulley to hang straight. Great for big wall climbing and also as a belay biner. Available as a locking and non-locking biner. Carabiners are only referred to as solid gate when they are non-locking. A solid gate biner is generally used for sport climbing because they tend to have smooth anti-snag noses which aid clipping and unclipping of bolts. Oval solid gates are also great for racking nuts on. Wire gate carabiners are only available as non-locking biners. Usually favoured by trad and winter climbers because they weigh so much less than solid gate biners. A key-lock nose will mean that the krab is less prone to snagging as the nose is very smooth. One draw back of these biners is that the gate can become blocked with snow/ice/mud which will prevent the gate closing correctly. These tend to be a lot lighter than key-locks and are great for use in the winter as they are far less likely to become clogged with snow/ice. A drawback of these biners is that the nose can get caught on bolts, holding the gate open, although many manufacturers have overcome this problem by creating clean nose profiles. Human beings have been using ropes for various purposes since prehistoric times, and before we started to make them, it’s likely that we used natural vines and creepers (see Tarzan). 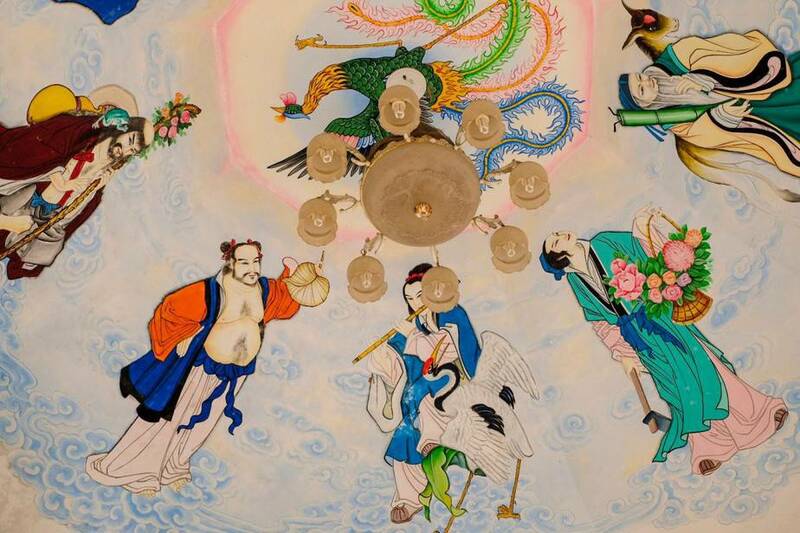 They have always been as integral to our lives as the wheel and were around long before. In this article you will find a little bit of history on ropes, how they are made, the different types, what they are used for and what things like impact force, elongation and number of falls mean. Climbers have used ropes to safeguard themselves for as long as there has been climbing. The first types of ropes that were used were generally made of strands of Hemp or Sisal twisted or woven together. These early ropes had a very poor strength to weight ratio, were stiff and awkward to handle and often failed. In 1941 the first nylon ropes were being produced in the USA and France, but 12 years later the German company Edelrid was to make the most significant breakthrough in climbing rope history. In 1953 they invented the Kernmantle rope, and this is what we are still using today. The word comes from the German word Kernmantel and means coat-protected core. This invention revolutionised climbing ropes; hemp ropes and rope breakage very quickly became a thing of the past. Yet another breakthrough by Edelrid in 1964 saw the introduction of the first Dynamic rope, capable of withstanding multiple falls, and that was the grandaddy of the Dynamic rope we use today. These ropes are chiefly made of nylon (polyamide), but are sometimes made of polyester, aramid and other man made fibers. The strength of the rope is made up of both parts, core and sheath, and the proportion of each depends on the type of rope you buy. Dynamic ropes are constructed to stretch under load, and will absorb much of the energy exerted in a fall and this is what makes them so good for climbers. If a climber were to take even a small fall onto a rope with little or no dynamic properties the result would be serious injury and even death. Another important factor for climbers is that the rope not only lessens the energy exerted on a climber in a fall, but also lessens the energy exerted on their anchors, making them much less likely to fail. Often referred to as Static rope, this is, however, usually incorrect as most have some degree of stretch. Semi-static ropes are used extensively by industrial rope technicians but also by climbers for a number of jobs. Whilst it is sometimes possible to use a Semi-static rope for top or bottom roping, where there is absolutely no possibility of a shock load, these ropes must never be used for leading. The most common uses for these ropes are abseiling and rigging anchors. Dynamic rope comes in three different types and you will always find a symbol at each end of the rope to tell you which one it is. Single Rope.This is a rope designed to be used on its own. Used across all climbing disciplines. Half Rope. This is a rope designed to be used in conjunction with another half rope, and sometimes referred to as “Double Rope”. Each rope should be clipped into an independent anchor or running belay. Used by trad climbers and mountaineers. Twin Rope. This is a rope designed to be used in conjunction with another twin rope. The big difference here is that both ropes must be clipped into the same anchor or running belay. Used by sport climbers and some mountaineers. All of the ropes we have mentioned come in a wide variety of diameters. From as little as 6.9mm right up to 16mm, however there are restrictions in diameter for each of the main types of ropes. As already mentioned all dynamic ropes will have a symbol to tell you which of the three types of rope it is. There is also a whole load of other info about the rope, typically found on the packaging and always found in the manufacturers recommendations, included. Union Internationale des Associations D’Alpinisme is the international mountaineering and climbing federation that has created the standards to which all dynamic climbing ropes with the U.I.A.A mark must adhere. The standard is 101, and EN 892. Whilst these numbers may mean very little to most, it’s important to make sure the rope you buy has been passed by the U.I.A.A. Any ropes without this marking should be avoided. This is the number of UIAA falls the rope can handle before it loses its dynamic properties and risks possible failure. This marking can be very confusing to even fairly competent climbers. It does not mean that after you have taken the marked amount of falls, that you need to buy a new rope. The EN 892 test requires a single rope to hold a minimum of five factor 2 falls with 80kg at an impact force of less than 12kN. To read more about fall factors, see our article on “Understanding Fall Factors”, but in brief, a fall factor greater than 1 is totally unacceptable and should never happen. If you do take a significant fall on your rope always make sure to have a good inspection of it afterwards. The number of falls can give an indication of how robust the rope is, the more UIAA falls it can take, the harder wearing the rope will be. This is a very useful figure in helping you decide which climbing rope you should buy . The impact force marking on a climbing rope is the amount of force in kN (kiloNewtons) that the first UIAA fall exerts on the falling body. The aim is to create a rope with the least amount of impact force whilst staying within the maximum elongation figures. This means less force transferred from the rope to the climber, belayer and anchors, massively reducing the risk of injury or anchor failure. This is especially important to trad and ice climbers. So, a rope that has a higher impact force will be more durable, but also transfer more force, in the event of a fall, onto the climber and the anchors; and rope with a lower impact force will be a little less durable, but transfer less force, in the event of a fall, onto the climber and the anchors. This is the amount of stretch in the rope when a 80kg weight is hung from it. This is the amount of stretch in the rope after the first UIAA fall test. We already know that having stretch in your climbing rope is essential, but if it has too much stretch then there is a very high risk of a climber hitting a ledge or even the ground, so the UIAA sets the maximum elongation of a rope to 40% of the rope that’s paid out. So a fall onto 10m of paid out rope cannot exceed more than 4m of stretch, and this needs some considering when you’re climbing. This is no longer required by the UIAA, but to increase safety a number of rope manufacturers still use it. It basically tells you how your rope may resist cutting when in contact with sharp edges. 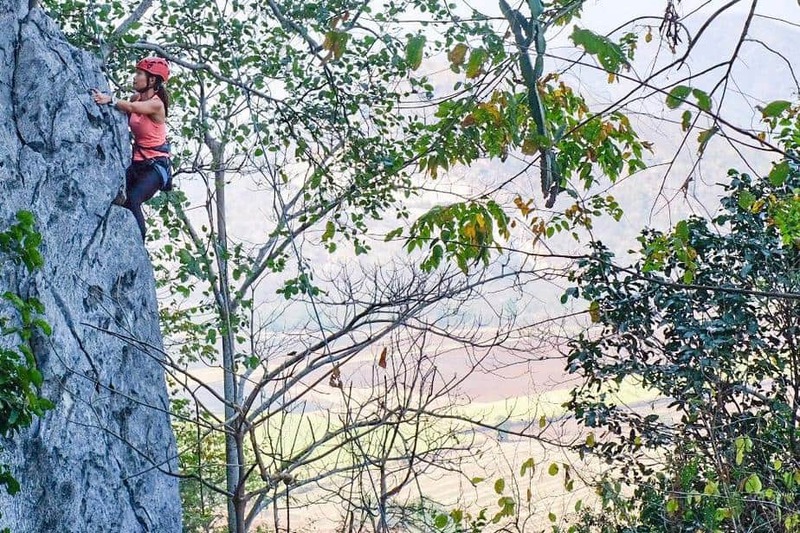 The sheath on a badly made climbing rope can stretch out of sync with the core and this will mean the rope will become lumpy and, in the extreme, dangerous. The Sheath Slippage test is the only test where the CE (EuroNorm) requirement differs from that of the UIAA. After pulling two metres of rope through a designated constriction, the European Standard requires that the sheath slippage should be less than 40mm, or 2%, whilst the UIAA standard is more severe, requiring a value less than 20mm, or 1%. However, many modern climbing ropes achieve 0% or very close to 0%. This will tell you what proportion of your rope is sheath, compared to core. 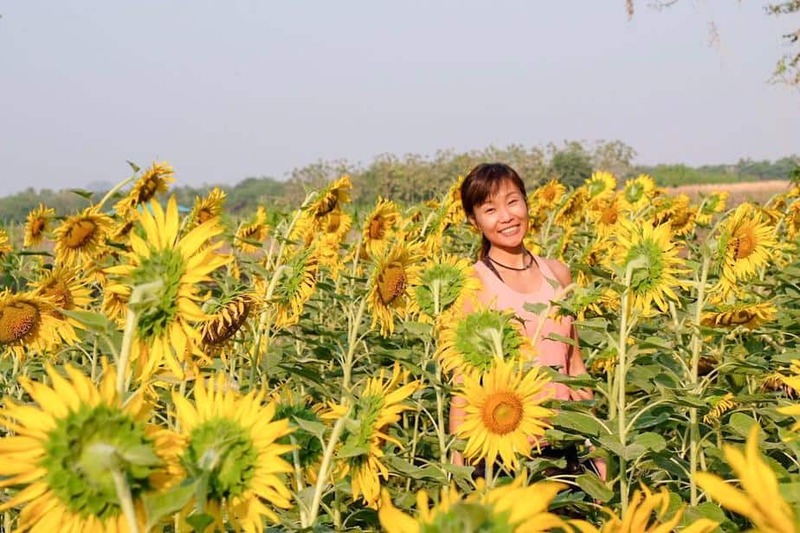 A larger sheath proportion will normally mean that the rope is more abrasion resistant and smaller sheath proportion can mean a lower impact force. Whilst Semi-static or Low Stretch ropes do come under UIAA guidelines, standard 107, this standard is based on the European Standard 1891:1998. Semi-static ropes come in two types. Type A and Type B. Type A is the most commonly used as it conforms to all of the standards of EN 1891, whereas Type B ropes do not, and as such should only be used after careful risk assessment. There are far too many different types of rope treatments to be able to cover them all in this article. In general the most important one will be some form of dry treatment, to stop the rope absorbing too much water. This is most important to winter climbers and mountaineers. Ropes obviously become far heavier when they are wet and of course in cold temperatures can freeze, making them very hard to handle and in the extreme, very dangerous. All good rope manufacturers offer a number of different choices in dry treated ropes, the most basic will be a simple treatment that is applied to the sheath only, and will essentially make your rope water resistant, but not water proof. After prolonged exposure, they will eventually absorb water into the core. However this type of treatment is really all you need if you’re trad climbing, and sport climbing. A more expensive alternative is a fully dry treated rope, such as Golden Dry, from Beal. This means the sheath and the core have both been treated, and will give you the best protection from the elements. Another useful benefit of either dry treatment is that it will often make your rope a little more durable, meaning it may last a bit longer. Other treatments include, heating the rope to give it smoother handling characteristics, like Edelrid’s Thermo Shield, Beal’s new Unicore technique actually binds the sheath to the core resulting in a rope that has absolute zero sheath slippage, and is far safer in the event that the sheath is cut. Like any piece of climbing kit, your rope’s lifespan will depend entirely on how often and where you use it, and also on how well you look after it. Some manufacturers will offer guidelines for maximum shelf life and also maximum working life. These are only guidelines and climbers need to develop their own opinions on when a rope should be retired. Don’t be tempted to ‘downgrade’ your rope from an outdoor to an indoor rope or similar. It is either safe to use or not safe to use, it makes no difference where it’s used. This article is meant as a basic introduction to ropes, and there is much more extensive information available in books and online for those who want it. Since companies like Edelrid began making climbing ropes over 150 years ago, the technological advances have been enormous, but it’s worth considering that we are still using the basic design of the Kernmantle rope invented 56 years ago. Of course, there are some truly amazing and unique ropes available now, like Beal’s Hotline, a rope using an Aramid sheath under a normal sheath, giving resistance to harmful chemicals, or the Raider also by Beal, that can withstand temperatures of up to 350 degrees Celsius for up to an hour and still retain 90% of its strength. Lastly, your rope – no matter how well it’s made – will only maintain its strength and safety if you look after it properly. Always thoroughly read the manufacturer’s recommendations before you use a new rope, and make sure you know how old your rope is. After spending a month in the Arapiles, Australia doing almost everyday of trad climbing, I really learned to embrace nuts and wires. 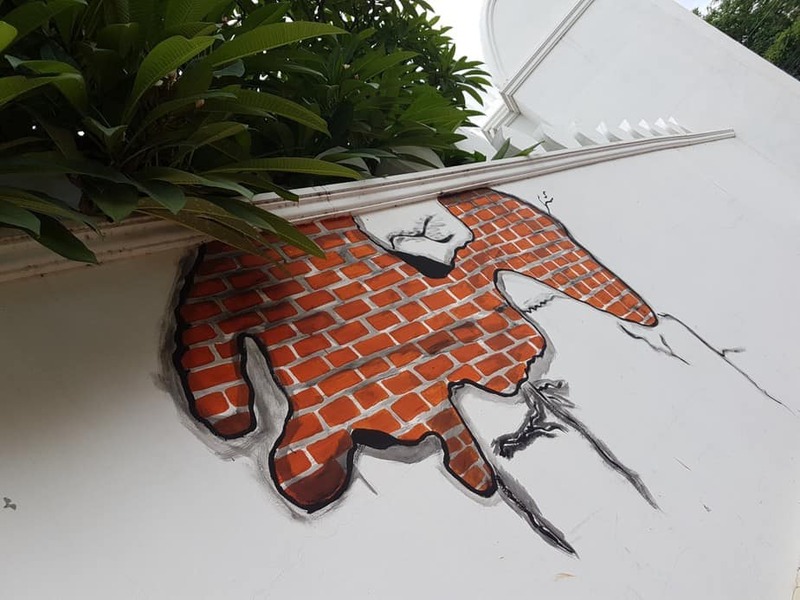 This is also known as passive protection. Passive protection is the term used to describe leader placed protection that has no moving parts. This seems like a good time to share some knowledge and experience on the subject. It really is an awesome way to climb! Passive protection is generally the first type of pro (short for protection) a new climber will buy. It tends to be considerably cheaper than active protection (camming devices etc), and will give you numerous placement options. Before you head out and buy your first lot of passive pro, take some time to research the areas where you are intending on climbing, as different rock types will often suit some kit better than others. The mainstay of the Trad climbers rack. Also known as wires, these are wedge shaped “nuts” on a wire. They fit in small, medium and largish sized cracks, and when well placed are bomber. Most, if not all, are colour coded by size and and are compatible with other brands. A set of these is generally one of the first things to buy when starting out. There are subtle differences between brands, like weight, shape etc, but they all share much the same characteristics and it’ll come down to personal choice and budget. As small as protection gets. These provide marginal protection for tiny cracks and weaknesses. The strength ratings are far lower than standard nuts, so make sure you know their limits. These are something to add to your rack as you go along, and not something you’ll need straight away. Some micro nuts, like the DMM I.M.P (Immaculate Marginal Protection) are made from brass which can offer a little more bite when shock loaded. Sometimes referred to as HB’s after Hugh Banner, the man who invented them. These are available in both standard and micro sizes. The offset shape of the nut means that they are particularly good in placements where a normal nut will simply not hold. Peg scars, tapered and flaring cracks are far easier to protect with an offset. You don’t have to start out with these, but they will give you loads more options to place good gear. Theres only five sizes and they compliment the bigger standard rock nuts very well. Very large nuts, originally designed by Yvon Chouinard of Black Diamond, for protecting large cracks. Generally one of the first things to buy when starting out, and a lot cheaper than cams. When carefully placed, so that the sling is slightly rotated towards the top of the unit, force exerted in the event of a fall will actually rotate the unit slightly and cam it into the rock, creating an even safer placement. These really belong in the cam family, but still have no moving parts as such. 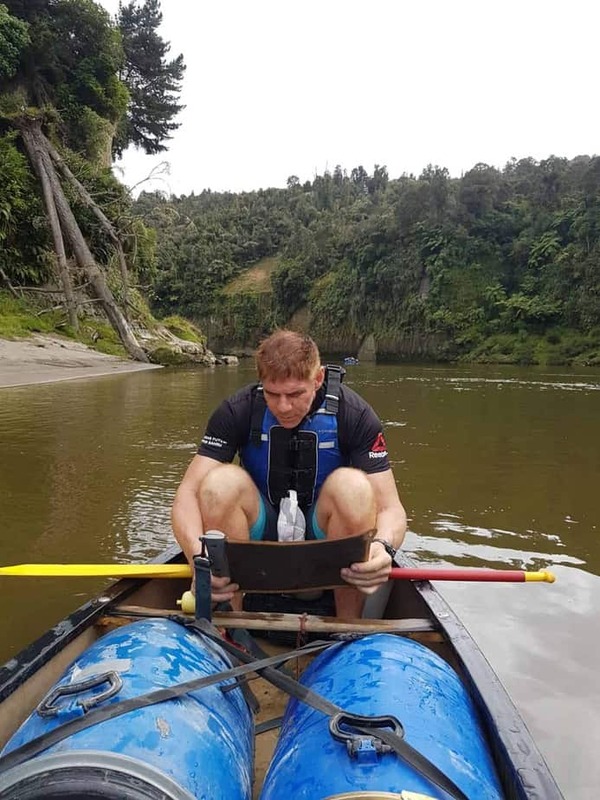 By rolling the head back so that it rests on the sling section and placing it into a crack, it will cam into the rock and become very stable when loaded. These are not something you need when starting out. They are excellent for use in the winter. Proper cam units become unsafe when placed in iced up cracks, but you can give a tri-cam a little love tap with your hammer and its far more likely to hold in the event of a fall. They can be a pain to get out though! Totally essential if you want to come home with all your nuts! There quite a few to choose from , and generally it will come down to your budget and taste. Some things to look out for are, whether it has a hook or hooks to help release a stuborn cam trigger, someway to tighten a loose bolt, weight, and durability. Its often wise for the leader to carry their own nut key as well as the second, incase they need to retrieve a badly placed bit of gear. As mentioned at the start, this will vary based on what type of rock you climb, your grade, and personal preference. Interested in trying trad climbing? 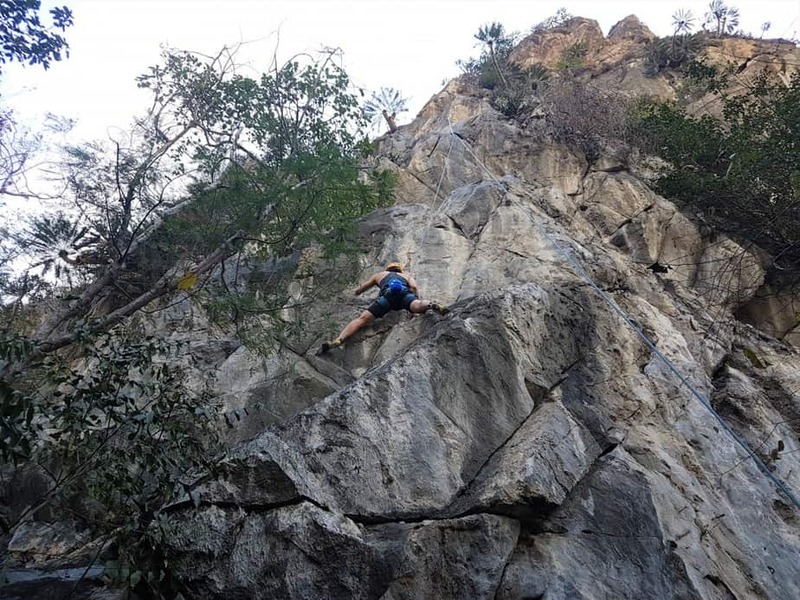 Contact us, and we can get you started on the journey to the freest form of safe outdoor climbing. Trad climbing! Planning your menu and quantity is definitely the most important part of the process. You need to know what kind of food is ideal for dehydration and is easy to rehydrate. From the multiple times of dehydrated food preparation, we realise that vegetables such as cabbages, lettuce, tomatoes, onions still taste good after rehydration. 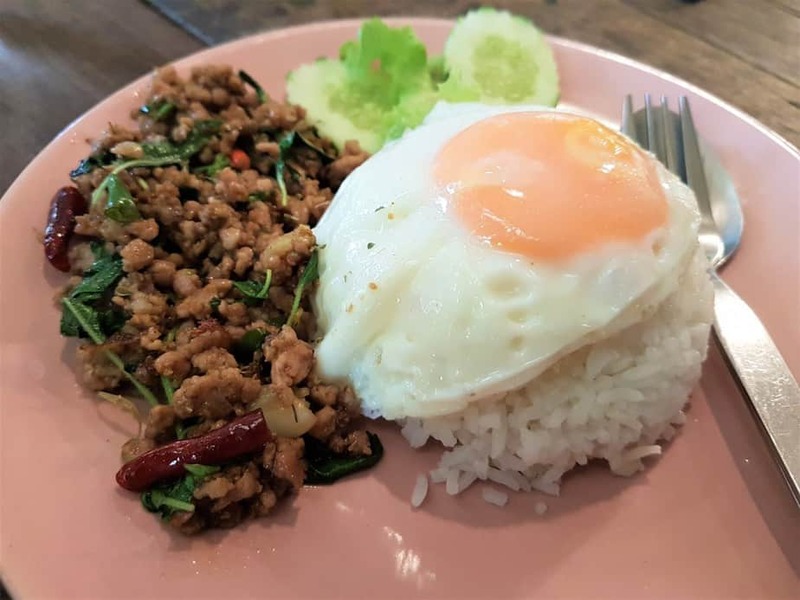 Meat such as beef can be dehydrated too, but in the process of rehydration, it is highly recommended to let it sit in hot water and cook over slow fire for a longer time for the meat to be soft. This is the fun part. To cook your own meals! 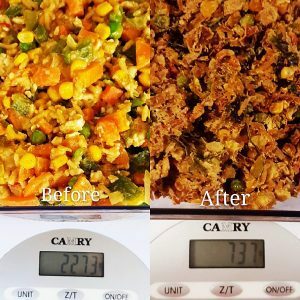 There are a lot of recipes available that would make perfect dehydrated food. Our top choices are Spaghetti bolognaise, Thai curry rice, Fried noodles, Mashed potatoes with chili con beans. Make sure the food is cooked thoroughly before you dehydrate them. 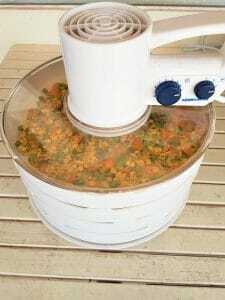 We used a food dehydrator to dehydrate all our camping food. Different dehydrators will work differently and will take different amount of time to dehydrate different food. You may refer to the guide with your food dehydrator as a reference. 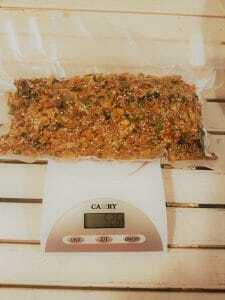 In our case, to dehydrate 2.2kg of Thai curry rice, the dehydration process took a total of 8 hours. Some food took lesser time than others, depending on the water content in the food as well. We usually check the food to make sure it is crisp and dry before we conclude the food has been fully dehydrated. We vacuum seal all our food to ensure freshness and make sure it is compact for carrying when we are on our adventures. Step 5: Rehydrate and Eat! After all this hard work in preparing your food, the process of rehydration is easy. Add in hot water to your food, let it sit for approximately an hour. 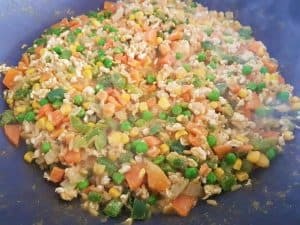 Cook the food over slow heat and keep stirring. A warm and yummy meal is ready to eat! 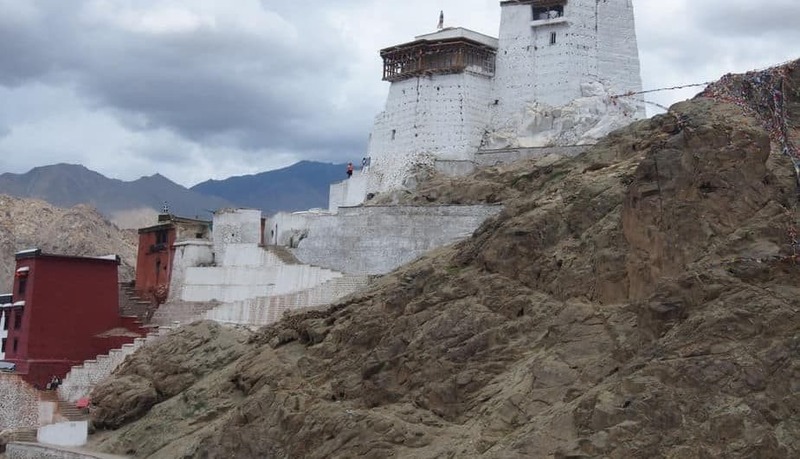 Ready to try a great trek and a great meal? 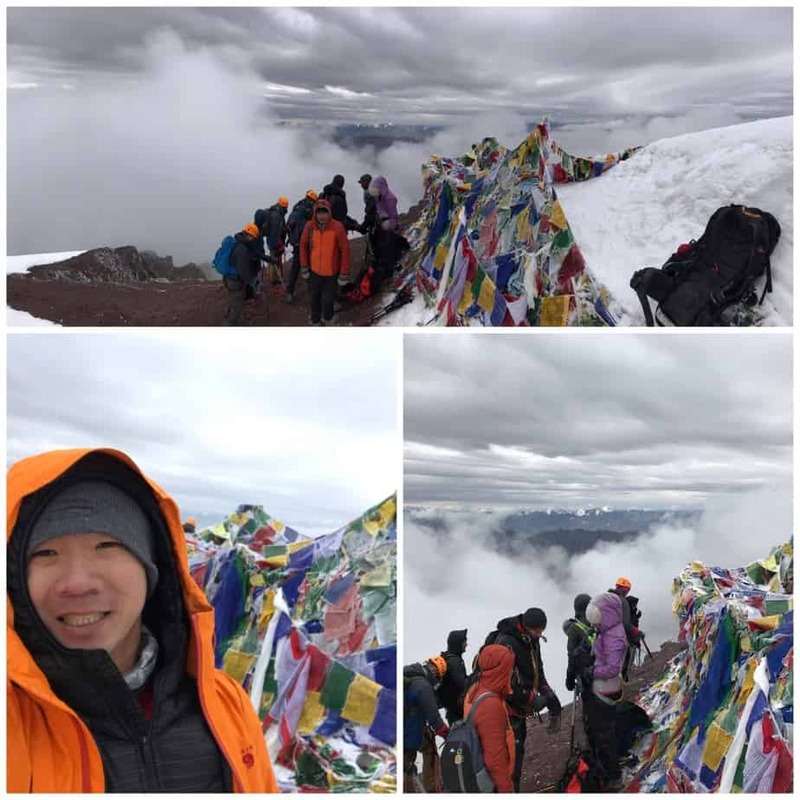 Holy Ridge Trek, Taiwan 2019. Sign up today! As we start planning for our great treks in 2019, it’s a good chance to spotlight one of our favourites in 2018! 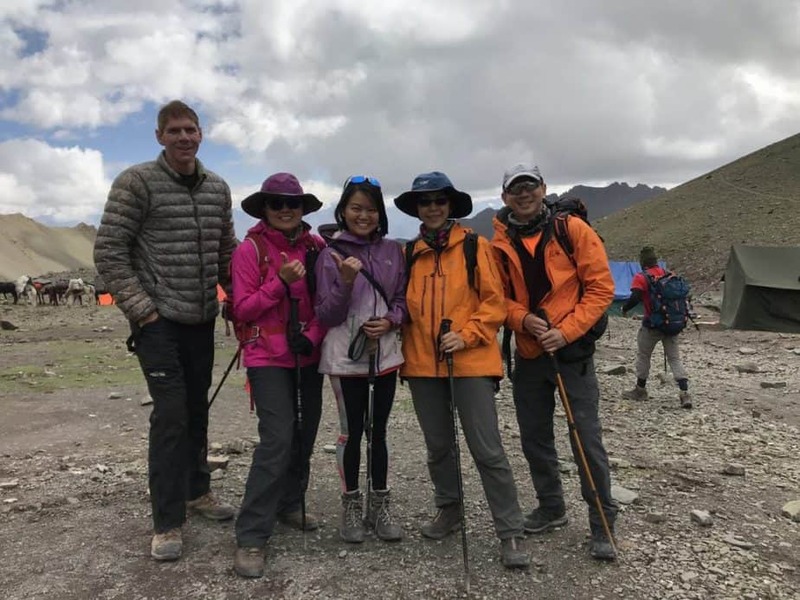 The Stok Kangri trek, has amazing scenery, incredible people, and of course the challenge of summiting a 6000+ meter peak. 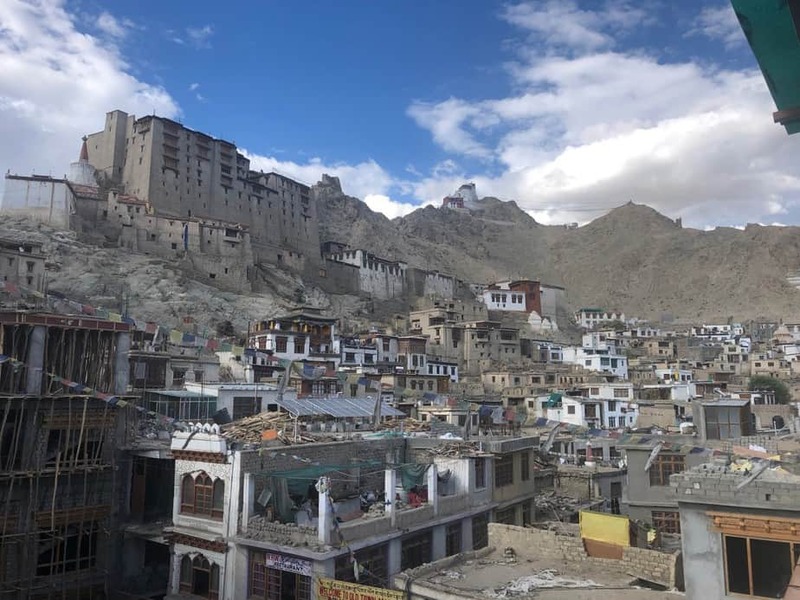 The three days of acclimatising in the mountain town of Leh, India made it just the right combination of interacting with the local culture, and taking on the big mountains! 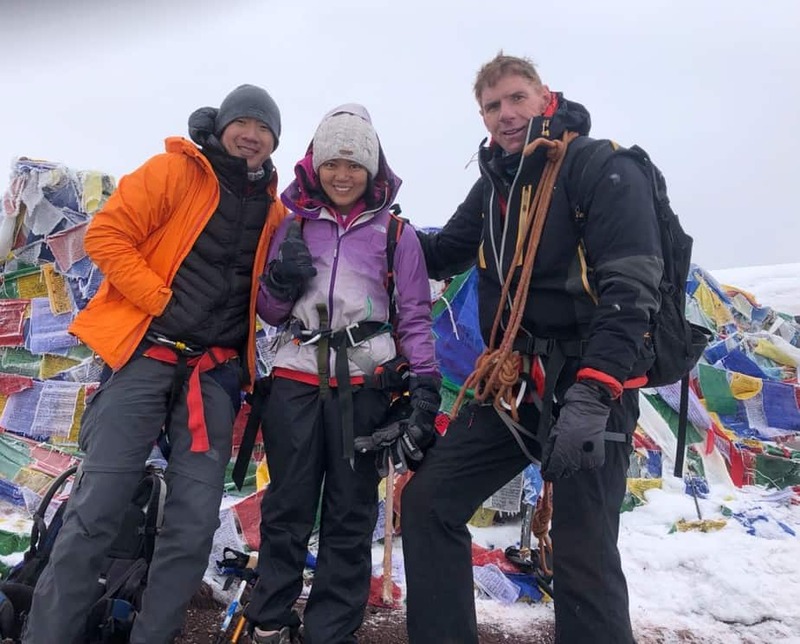 Exciting times and a great season for Stok Kangri. We finished the trip with an exciting day of White Water Rafting to keep the adrenaline flowing thru our veins! Ready to try it? 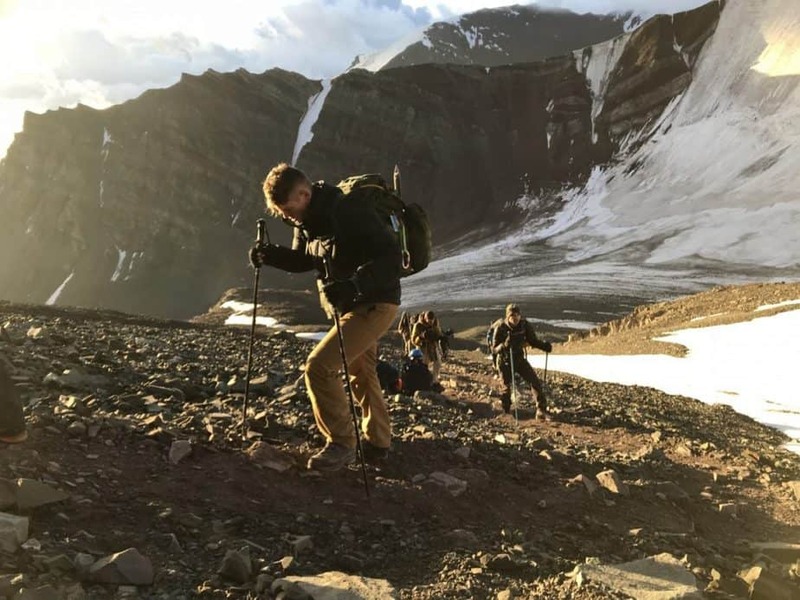 Sign up for Stok Kangri 2019! 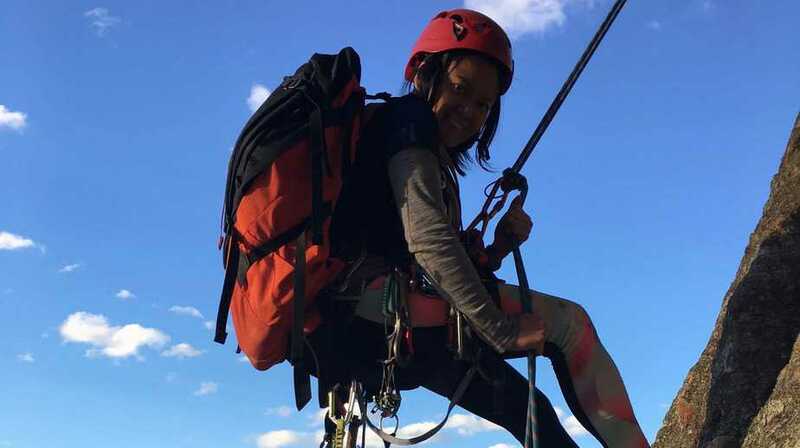 One of the most common questions I hear when working with beginners is “What type of belay device is best to buy?” Buying your first belay device can seem a little confusing, with many different types to choose from. A simple understanding of how they work will help you make your choice. Here is a brief outline of the the different types available and their common uses. 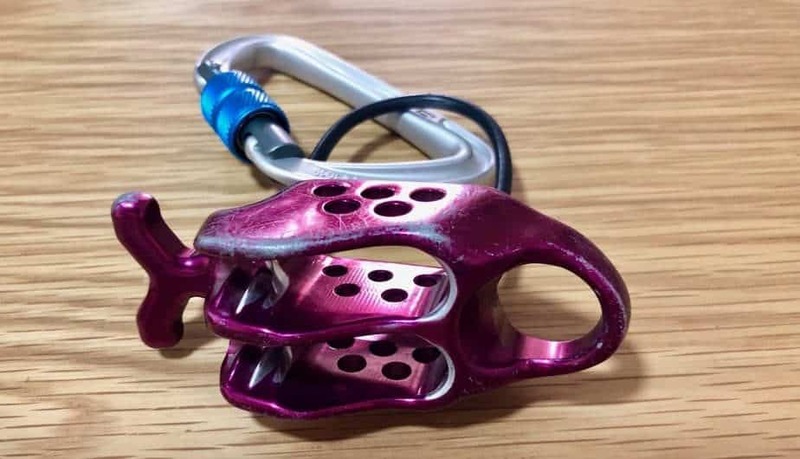 These are the most common belay devices used by climbers. Whilst they all look a little different, and have some different features, they essentially work in the same way. 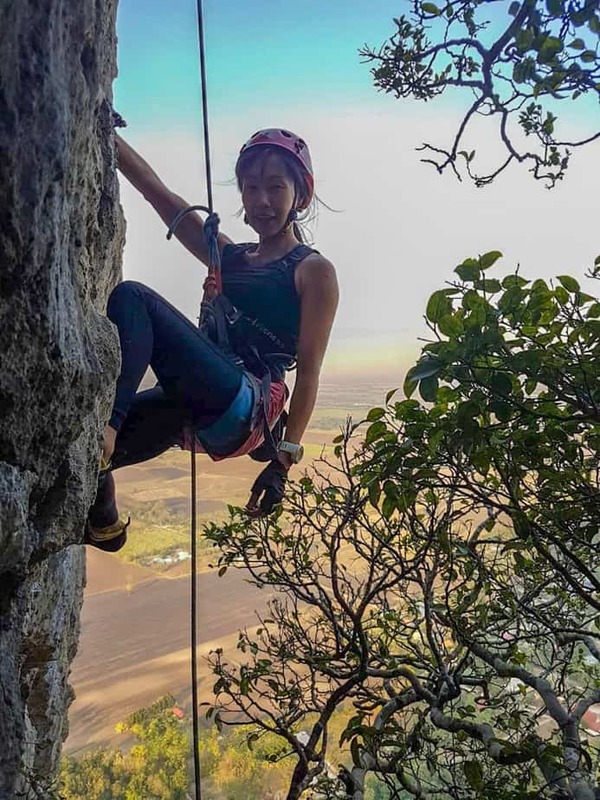 The belayer will control the rate of descent of a falling or descending climber, by pulling the “dead” rope tight, this causes friction on the rope by forcing it into a tight bend. Almost all standard belay devices can also be used to abseil with. These are the best devices for beginners and experienced climbers alike. Good for all climbing disciplines. Some of these devices, like the Black Diamond XP have small grooves that increase the friction on the rope and can be a good choice if your partner is considerably heavier than you. These are devices that assist the belayer in arresting a falling climber by locking when the rope moves through them at a certain speed. Often incorrectly referred to as Automatic or Auto-Locking. Many indoor gyms are requiring ABDs these days. These devices always require a vigilant and experienced belayer. Less versatile than a standard device, as almost all of them can only be used with one rope. Often used by sport climbers when working a route, and also favoured by big wall climbers. Sometimes known as “magic plates”, these devices generally work in the same way as a standard device, but can also be used in guide mode by instructors to bring up two clients. In guide mode they will lock in the event that one or both of the clients fall onto the rope. Used by instructors and mountaineers, these devices are a little heavier than standard devices and generally more expensive. These are the most versatile of belay devices, sharing most of the characteristics of both assisted and standard devices. Almost always capable of single or double rope use. Most standard belay devices will work with either a single or double rope, but there are some available that are for single ropes only, like the Climbing Technology Click-Up. Virtually all assisted devices only work with one rope. If you intend to climb outside in any way, then it almost always makes sense to buy a device that can handle two ropes. 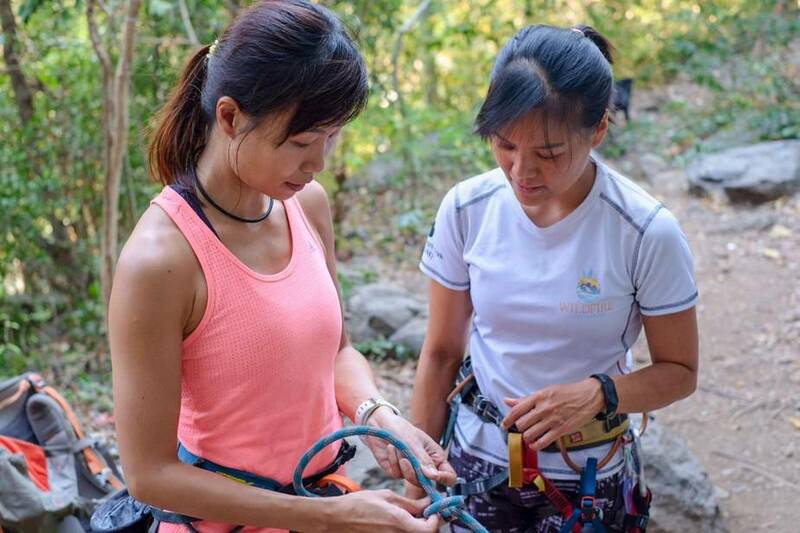 Most new climbers will buy the device that they used when learning how to belay. All belay devices have different characteristics. Some will be better suited to smaller diameter ropes, some have grooves on one side to aid braking, and some don’t. If you require any further help with choosing your belay device, then please feel free to email us and we are happy to answer any questions! If you are still unsure, or new to climbing then you can join us for our one of our certification courses or better still one of our rock climbing clinics. Picking a tent for your backpacking adventures can be a bit overwhelming, with the amount of choices there are these days. 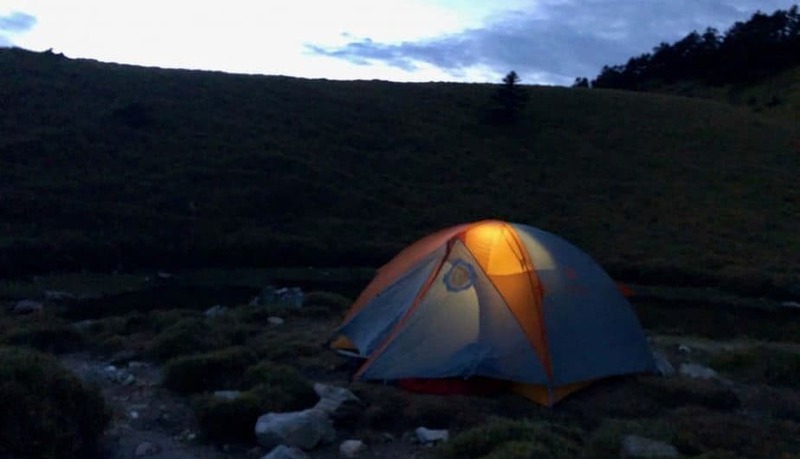 Here are a few things to consider when deciding on your backpacking tent. No one tent fits every situation, but with a few points in mind, you can find that home away from home that will give you a good night’s sleep. WEIGHT – A few grams here and there might not seem like a big deal, but keeping pack weight down is critical for enjoying backpacking trips. Lightweight tents make hiking more fun, and that’s what it’s all about. Your tent will be one of the four heaviest items you carry (shelter, backpack, sleeping bag, and sleeping pad), so it’s a great place to keep weight to a minimum. PROTECTION – A backpacking tent that doesn’t protect against the elements is worse than worthless, it’s dangerous. So be careful about extreme budget tents you’ll find elsewhere. Every tent on this list will provide excellent storm protection to keep you safe, dry, and warm when properly used. INTERIOR SPACE – Backpacking tents keep weight to a minimum by limiting interior space (and thus, use less material). Most two-person tents have room for two sleepers and a few stuff sacks, with backpacks and extra gear stored in the vestibules. If you want more interior space for camping comfort, you may want to go up one size in your tent (for example, buy a 3-person tent to fit 2 hikers). Just remember, interior tent space is a tradeoff between comfort and weight. If you prefer hiking light and crushing miles, stick with a 2-person model for two hikers. If you’re willing to carry more weight for camping comfort, you may want to go up one tent size. CAPACITY – 1-Person tents are great for dedicated solo adventurers looking to hike fast and light. 2-Person tents tend to be the most popular, because they strike a good balance between weight and interior space, just don’t expect the interior to be palatial. 3 & 4-Person tents tend to get crowded and impractical, though they can be a good fit for 2 or 3 hikers wanting more interior space for gear storage and extended hangouts. SEASON RATING – 3-season shelters are the most popular backpacking tents. They’re built for spring, summer, and fall trips where you’ll need to keep bad weather out while promoting air circulation. 3-Season tents can usually handle a little snow, but they’re not made for heavy snow and winter conditions. But a solid 3-season tent can handle a lot of winter conditions, with the correct sleeping bag. DESIGN – A single design flaw can easily ruin an otherwise solid backpacking tent. Great tents keep design elements simple and include multiple doors, adequate vestibule space, lots of headroom, air vents to reduce condensation, and interior pockets for gear storage. Personally I prefer a 2 door design, but the trade off is that the tent will weigh more because of additional door and zippers. SETUP – Freestanding tents are generally prefered because they’re easier to use and quicker to pitch. They come with a fixed pole system that can be set up almost anywhere, even on solid rock. Non-freestanding tents use stakes, guylines, and trekking poles for pitching. They save weight by cutting out tent poles, but require more time and space to pitch, and will take more practice to master. WALL CONSTRUCTION – Double-wall tents come with two separate parts – a mesh tent body and a rainfly. The mesh inner-tent acts as a barrier from any condensation that forms on the inside of the rainfly. 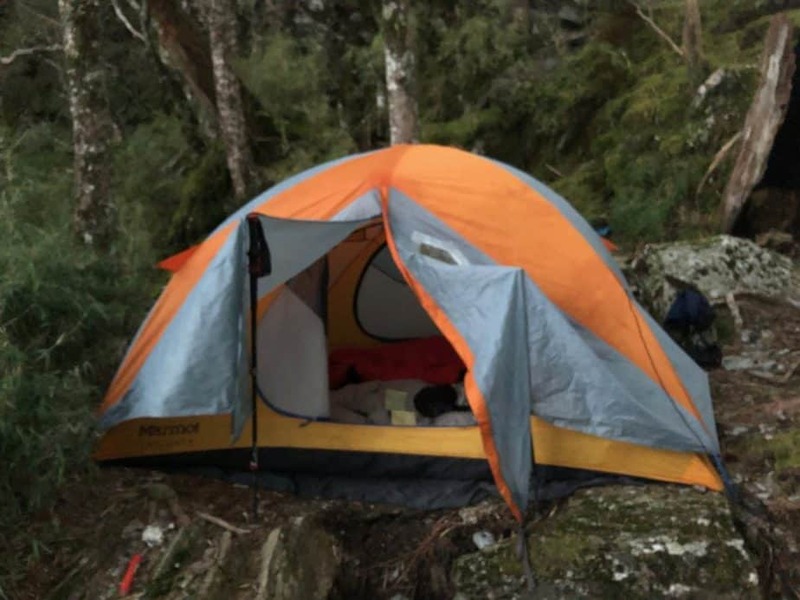 Single-wall tents reduce weight by ditching the mesh inner-tent, but that leaves hikers vulnerable to interior condensation in wet and cold conditions. Rubbing up against a wet tent interior is not fun. We recommend double-wall tents, unless you generally backpack in dry climates. DOORS & VESTIBULES – If you plan on sleeping two people in your tent, it’s more comfortable to have two doors and vestibules. Having separate entrances will ensure that you’re not climbing over a tentmate and two sets of gear every time you want to get in or out of your tent. 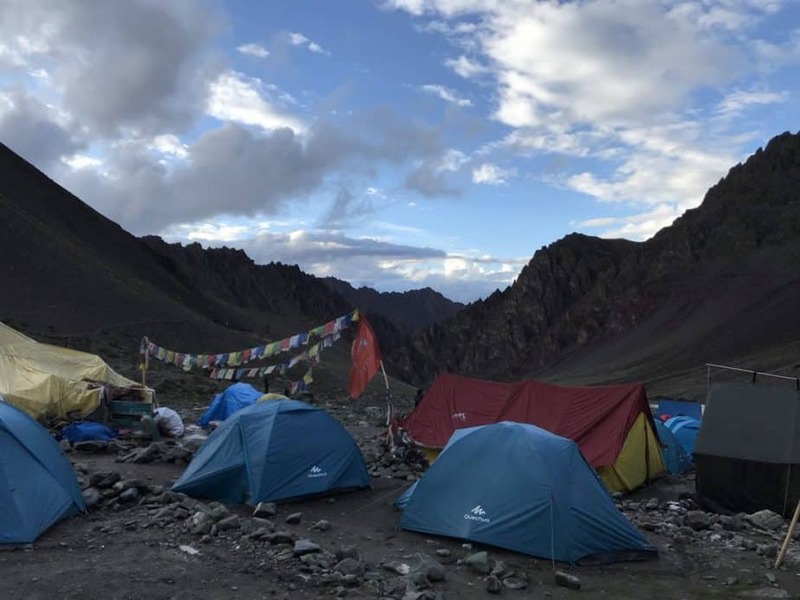 DURABILITY – The main tradeoff with certain tents styles is that they’re built using thinner materials that tend to be less durable than heavy-duty shelters. That said, ultralight tents will last for thousands of miles if treated with a little care. It’s also important to remember that a sharp stick will go through just about any kind of tent fabric. FOOTPRINT – Most tents don’t come with a footprint these days and many backpackers view them as unnecessary. The main benefit of a footprint is adding durability to the floor of your tent. A footprint will protect your tent floor from abrasion, so it will last longer and need fewer repairs. If you’re willing to carry some extra weight to extend the life of your tent, consider picking up a footprint. Whatever your backpacking condition or trail may be, a tent can make or break the trip. On a recent trek in Taiwan, the day conditions were extreme with the amount of bamboo bashing thru daily. By the end of the day we just wanted to get in the tent and relax. Our Marmot Limelight 3p tent was our relaxing villa on this intense trek!